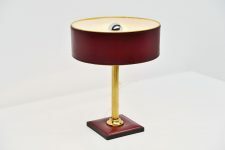 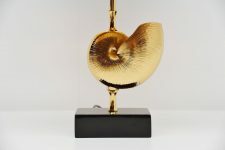 Very nice shell shaped table lamp designed by Maison Charles, France 1970. 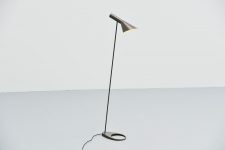 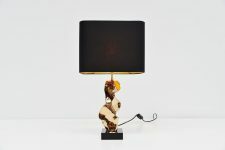 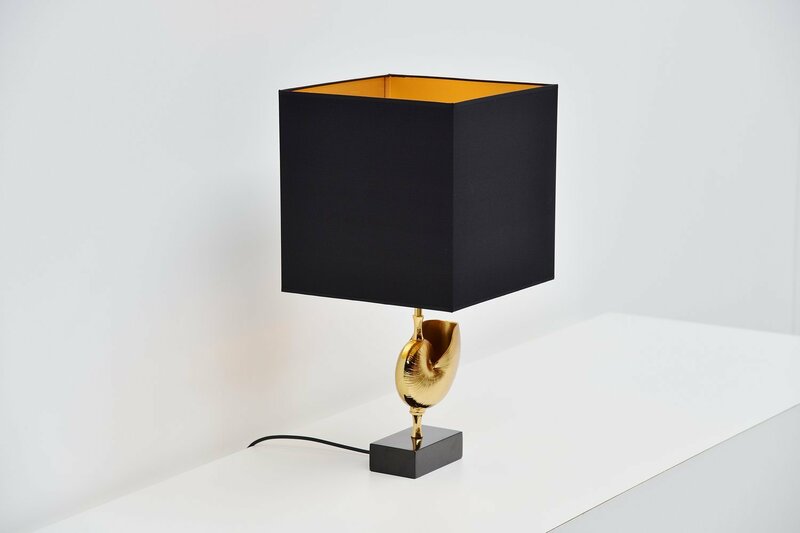 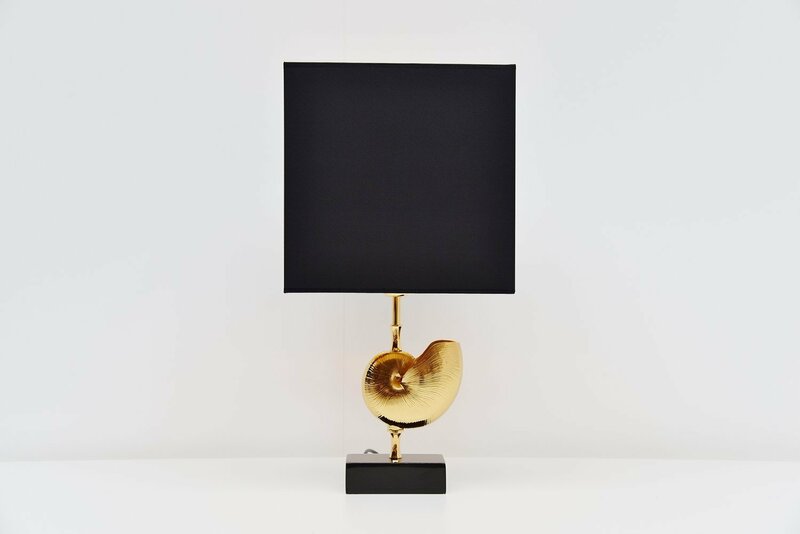 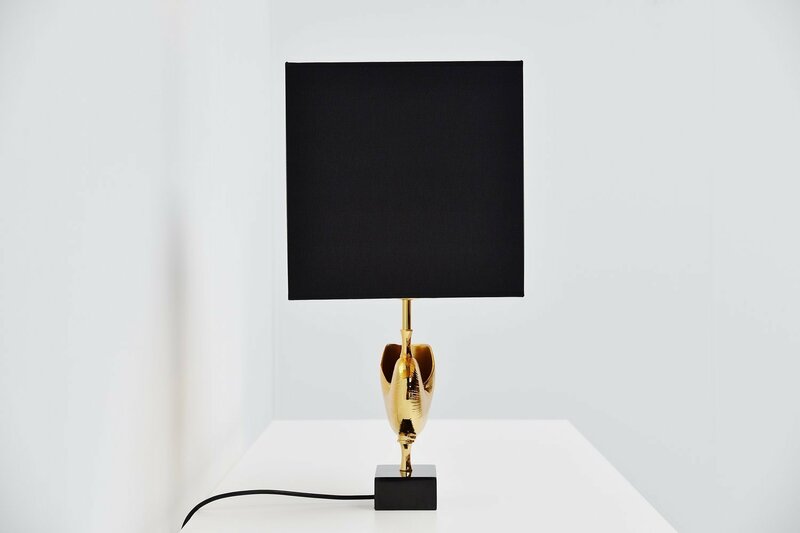 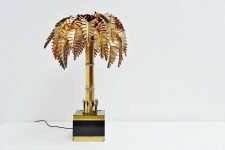 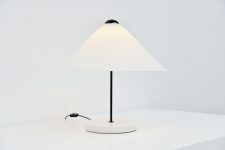 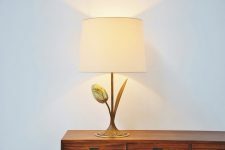 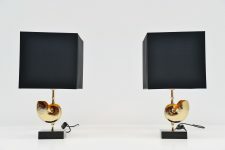 This table lamp has a solid black marble base and a brass shell shaped center. 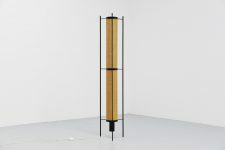 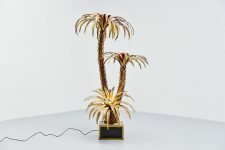 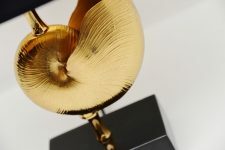 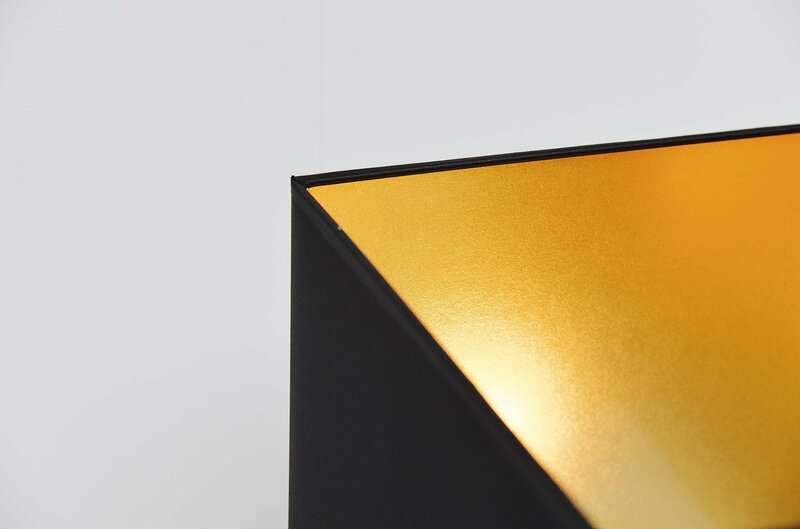 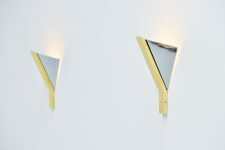 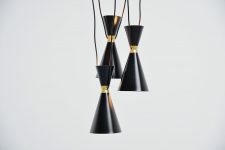 The lamp has a new made shade in black and with a golden inside. 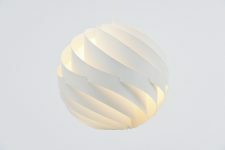 Gives very nice warm light when lit. 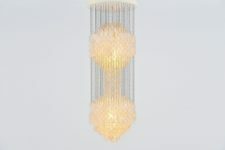 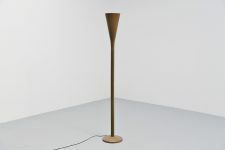 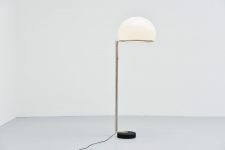 We have a similar lamp available but this one is slightly different than this one, minor different details.